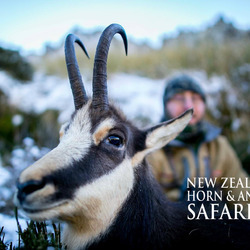 New Zealand Chamois were released in the mountains near Mount Cook in 1907, three years after the introduction of the Bull Tahr. 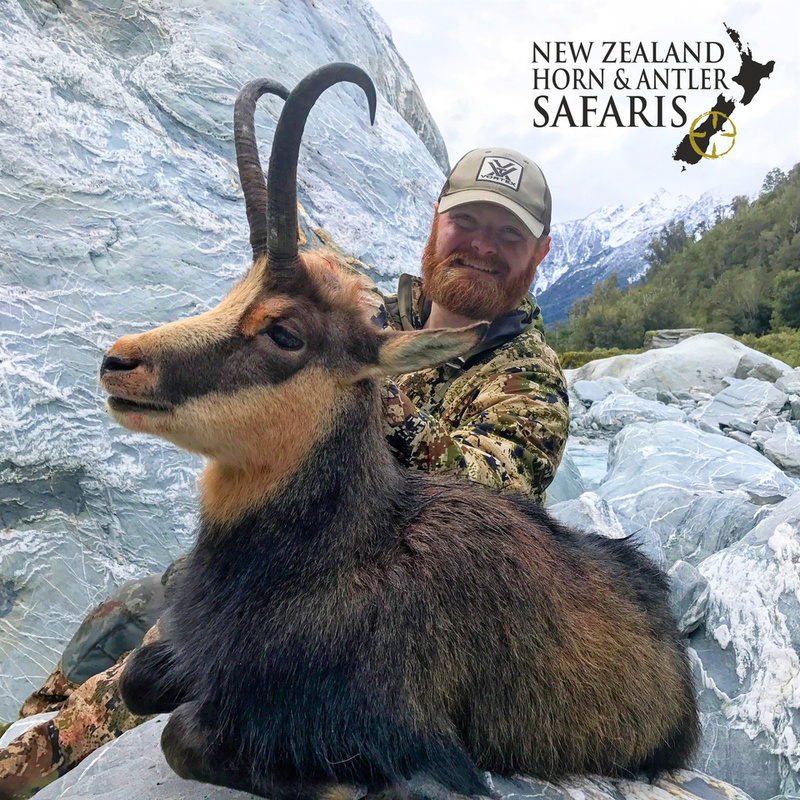 Only 11 were released at this time, but like the Tahr, they found their environment very accommodating, and have breed at a rapid rate. 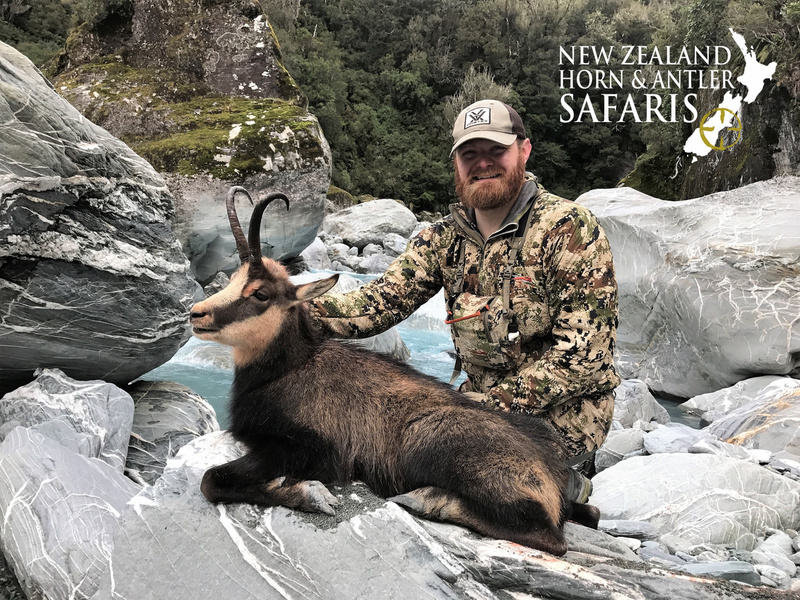 After their introduction, New Zealand became the only country where you can hunt free range Chamois outside of the Middle East and Europe. 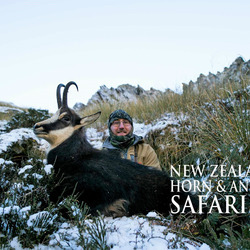 These animals to this day are only found in the South Island, just like the Bull Tahr, making them a unique animal to NZ Horn and Antler. Chamois like Tahr, is a stunning addition to any trophy room. Both the buck and doe carry horns, growing almost vertically with a curve near the end leading to a sharp hook. 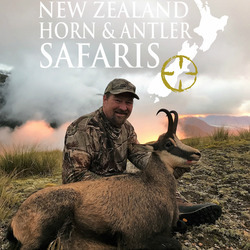 The buck is often more sought after by the hunter as they are a slightly bigger animal with a thicker horn and an average full grown weight of 90lbs. 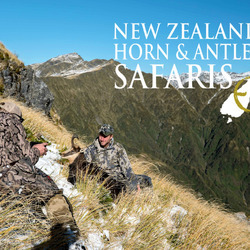 The rut for the Chamois is slightly different to the Tahr as it starts earlier, going from April to June. 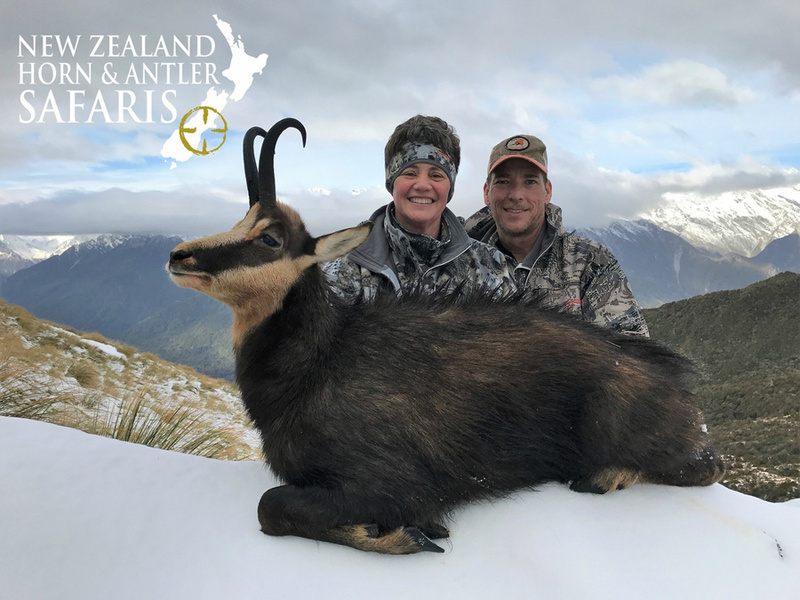 During this time the Chamois gain a thicker coat, and the bucks become slightly easier to hunt as they come down lower into scrub and around the creeks where the doe’s are situated. 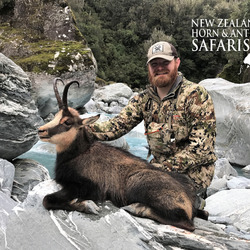 The hunt for Chamois is one that is challenging but very rewarding, they can be found feeding down in creek beds or up the sides of mountains up to 4000 feet. 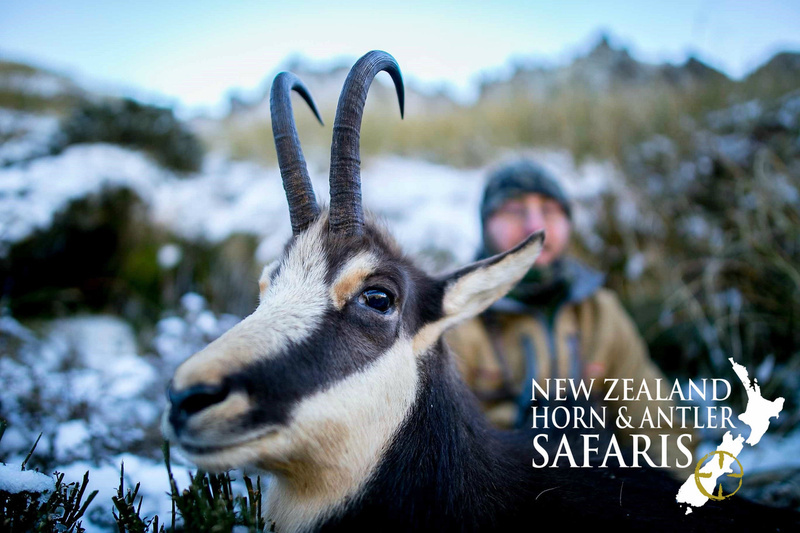 Unlike the Tahr, they do prefer hiding in thick alpine scrub, rather than spending their time of mountain peaks. 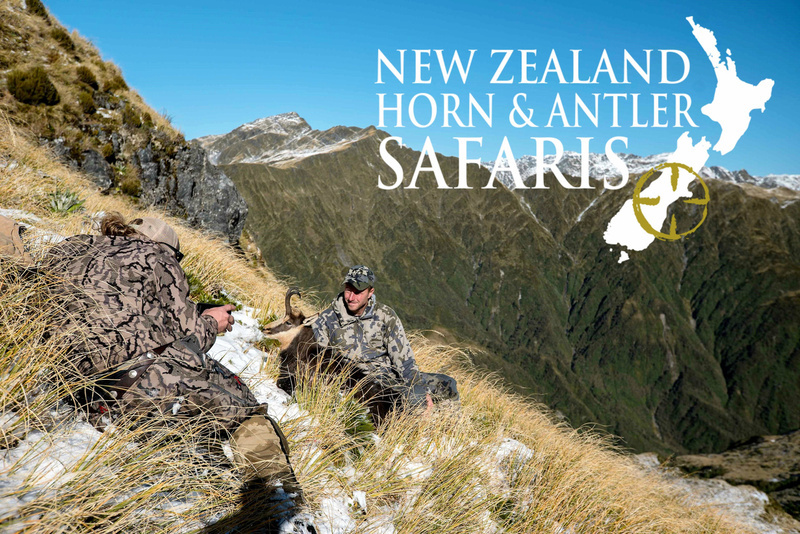 Chamois are known for their amazing eye sight making, it a very challenging animal to hunt as the stalk of the animal takes vast around of skill to avoid being seen. In order to hunt these agile animals, we offer two main options. 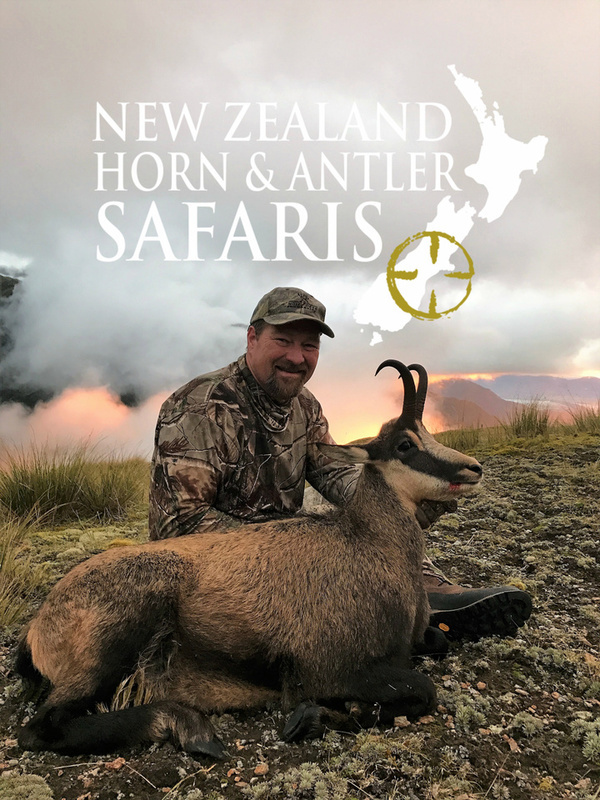 The first option consists of the hunter and guide getting dropped in the mountain via helicopter and hunting from camp each day, or the second option involves staying in a lodge close to the mountain and getting picked up by the helicopter for day hunts each day. 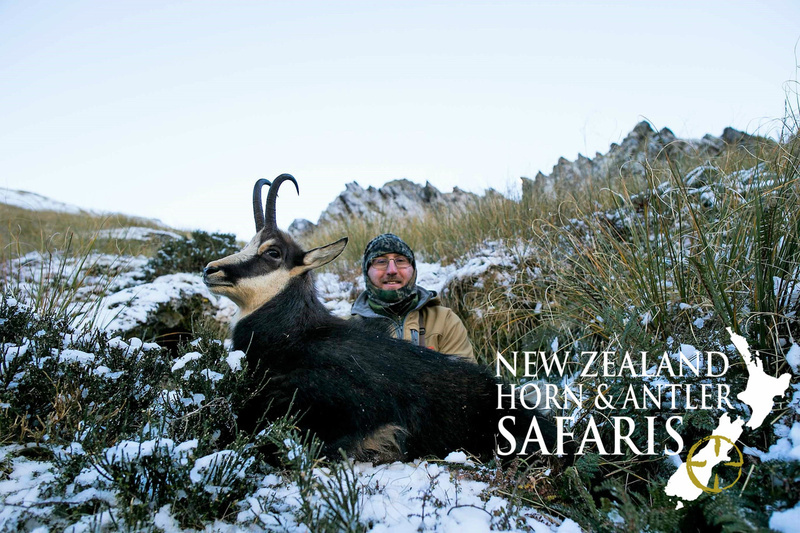 All these hunt options are legal all year round in New Zealand. For a full list of prices please click here or contact us directly to discuss your requirements.